We are teaming up with local screen printer Isabel Young for a day of creative printing. No experience necessary- this is a safe and fun place to explore the wonderful offerings of Screen Printing. 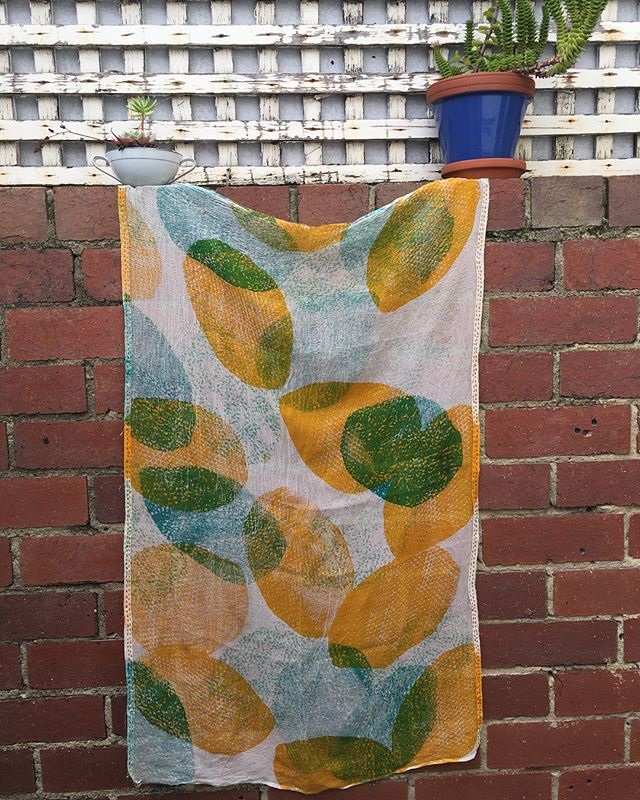 You will learn the basics of Screen Printing on fabric and will take away your own tea towel, apron or piece of fabric to sew into something at home. What to bring: All materials are provided. You are welcome to bring along a piece of fabric to transform. What to wear: Aprons provided. Wear something you feel comfortable in and don’t mind getting paint on- Printing with me can get messy. Cost $150 which includes a simple lunch and a glass of wine. To make sure you have the best experience groups will be kept to a group size of 8.